Kapit routinely and quietly handles many of Broward’s high profile deals. A few notable details showcase a pattern of consistent success in his field. In 2011, he was given an opportunity to represent an estate in Weston’s Windmill Ranches. The estate had been previously listed on and off for over 10 years! He sold the home in 41 days, representing both sides of the transaction. In 2012 he was the Top Luxury Agent throughout Parkland. In 2013 he broke residential sales records in Coral Springs with multiple million-dollar-plus sales. In 2014 he was responsible for selling Southwest Ranches most expensive estate for $5,530,100. In 2015, significant sales included a dramatic up-tick in the posh community of Landmark Ranch Estates, with a $3,600,000 sale, two new spec-starts and two Lot sales. His team is meticulously service-oriented, handling client matters around the clock. In 2016, he sold two spec homes in Sunshine Ranches and was engaged to sell 4 others for Aventura-based developer, Marson Development. He completed a seven figure sale in Davie's Grand Oaks, finalized a $3,600,000 waterfront sale in Las Olas Isles (112 S Gordon Road). In 2017, The Jason Kapit Group successfully sold numerous homes, boasting multi-million dollar sales in Davie Planation and Southwest Ranches. Continuing the trend of representing the most exclusive properties, Jason broke a record (price per SF) in Plantation's Hawks Landing selling a 2001-built home (10392 Harrier St) for $2,000,000. 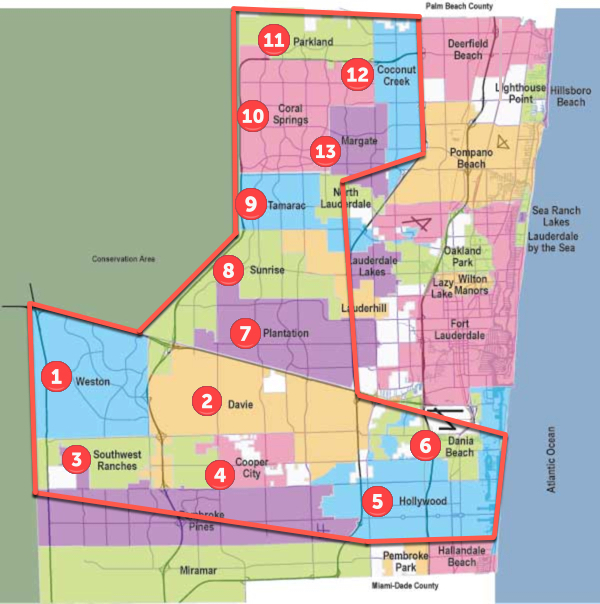 In 2018, Jason reorganized his efforts with a new role as VP of Keller Williams Luxury Division where he continues to garner market share throughout the West Broward corridor (see map) and beyond. His new affiliations and new-to-market technologies have allowed him to pivot in an even more discerning fashion, creating more reach for his exclusive listings, translating to a larger pool of Buyers, and more consistent sales within the luxury space, closing $30,000,000 in sales. For 2019, Jason is off to a quick start already selling 7 properties (check out Just Sold in StoneCreek) midway through April exceeding $10,000,000 in total volume. “Our priority is our clients and what is in their best interest … plain and simple.” The team’s business model and intense work ethic has paid off as Kapit consistently ranks in the Top 20 of ALL Broward County agents.